This is a picture of a church in northern Germany. It was taken in northern Germany enroute from Kaiserslautern to Denmark. Fabulous! Thank you Nuesser! 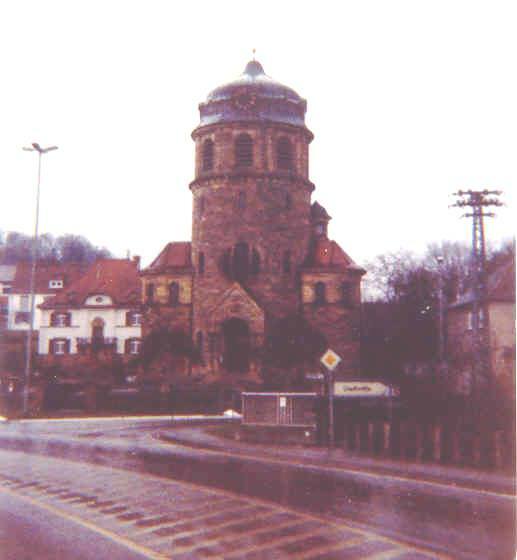 A person on my facebook group mentioned that she thought it was the church in Rockenhausen and I tried to prove it, but couldn't get the right view angle. Yours is perfect and the answer is definitive. 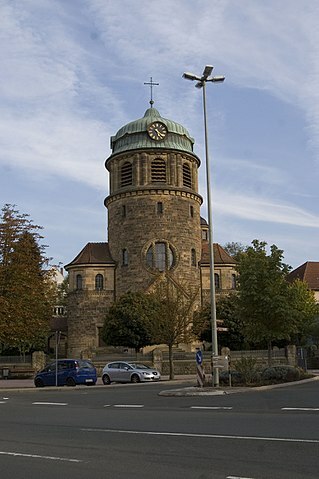 Looks like Katholische Pfarrkirche St.Sebastian in Rockenhausen. You can see the white building which is on the left side behind the churche on your photo. Not the answer you're looking for? Browse other questions tagged identify-this where-on-earth religion or ask your own question. Found a bug in my hotel room, can anyone identify?